It’s full steam ahead for Martin Dagenais and his Ottawa Junior Senators Junior A hockey club. Once again, the governor, general manager and head coach of the organization has his club battling it out for top spot in the overall CCHL standings. But this year, Dagenais has more than just the Junior Senators on ice performance to be concerned about. In October 2016, the Senators were awarded the right to host the 2018 Fred Page Cup (FPC) which will bring together Eastern Canada’s top four Junior A clubs, May 2-6 at the Jim Durrell Recreation Centre in Ottawa’s south end. “Hosting an event of this magnitude is a huge undertaking but our organizing committee has been hard at work since last summer,” said Dagenais. The four-team Championship will consist of the winners from the Maritime Junior A Hockey League (MHL), Quebec Junior AAA Hockey League, the Central Canada Hockey League (CCHL) champion and the host team (Ottawa Jr. Senators). The Carleton Place Canadians who lead the CCHL once again this season could be in attendance at the Fred Page Cup for the fifth season in a row. Carleton Place was the number one ranked team in the entire CJHL during the week of February 26 and has been among the country’s best Jr. A teams all year. Meanwhile, the Junior Senators were ranked #5 during the last week in February. From the Quebec league, the Terrebonne Cobras #10 or College Français de Longueuil #15 may be travelling to the Nation’s Capital. The Maritimes do not have any representation in the CJHL’s Weekly Top Ten rankings although an honourable mention was given to the Yarmouth Jr. A Mariners. The Edmundston Blizzard led the North Division of the MHL with an impressive 33-9-3-0 record after 45 games so they have a legitimate chance as well. But it’s junior hockey, and anything can happen once the puck drops in the post season. The FPC winner will represent Eastern Canada at the 2018 Royal Bank Cup which will be played from May 12-20 in Chilliwack, B.C. where a National Champion will be crowned. The FPC will consist of eight games: six in the preliminary round, the semifinal on Saturday, May 5th at 7pm, and the Championship final taking place Sunday, May 6th at 4:00pm. The week will also feature an Alumni Game on Saturday, May 5th at 2:30pm. A group of OJS Alumni will take on a team comprised of former NHL players. 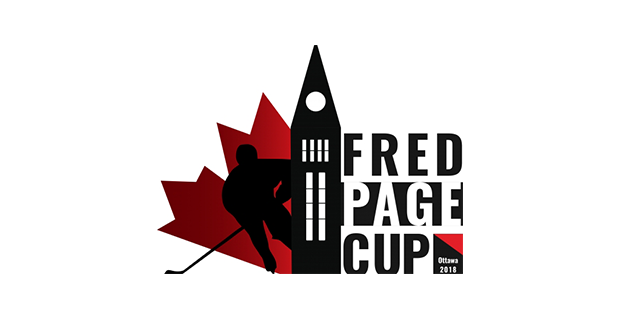 It’s been three years since a CCHL team has played host to the Fred Page Cup. In 2015, Cornwall held the the prestigious event, three years prior to that Kanata, an Ottawa suburb, opened its door for the tournament. “As an organizing committee we want to prove to people that an event like the Fred Page Cup can be a success within a big city,” Dagenais explained.